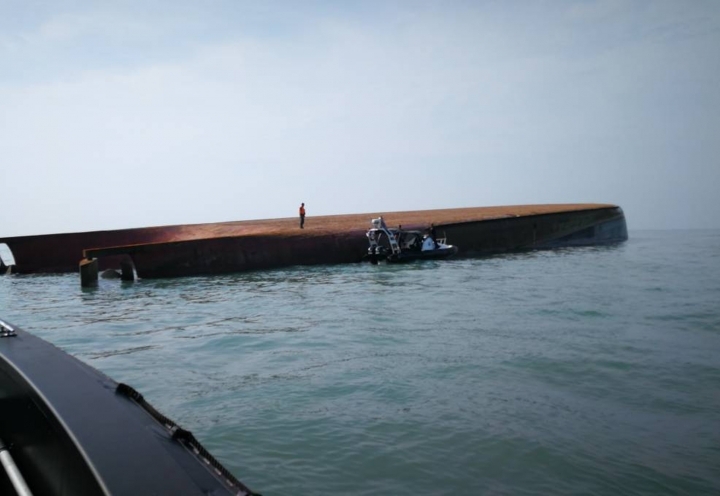 KUALA LUMPUR, Malaysia — A Chinese sand-dredger capsized off Malaysia's southern coast on Wednesday, killing a crew member and leaving 14 others missing, Malaysia's coast guard said. 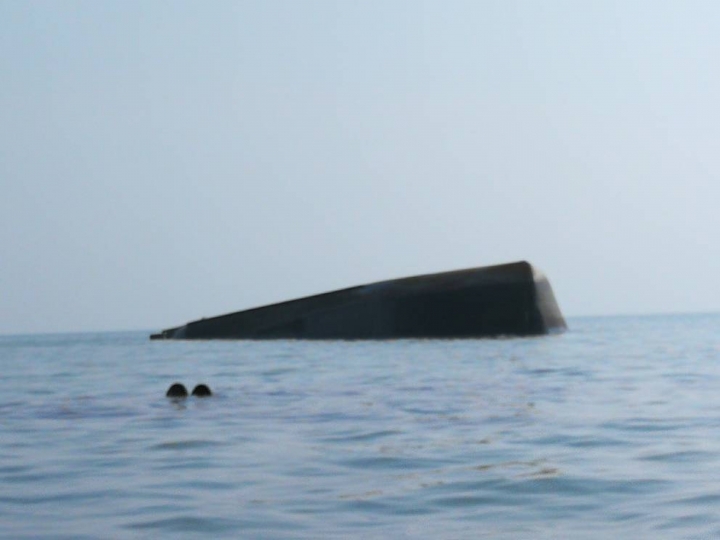 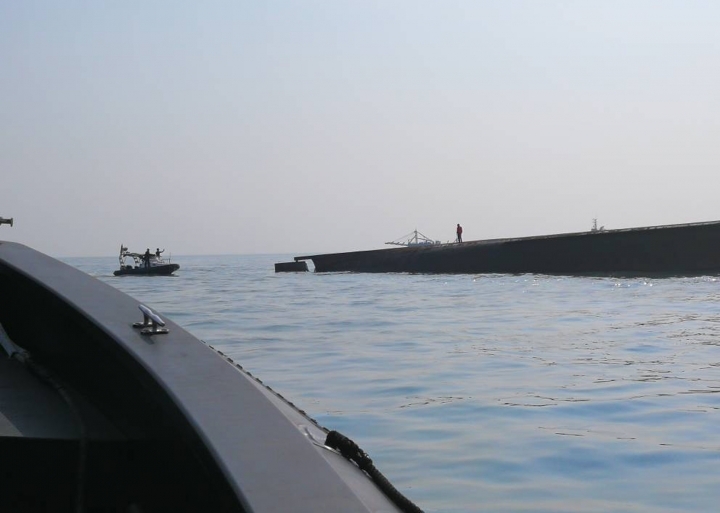 Three Chinese citizens out of 18 crew members were rescued but one was found dead after the JBB Rong Chang 8 capsized off southern Johor state, the Malaysian Maritime Enforcement Agency said in a statement. 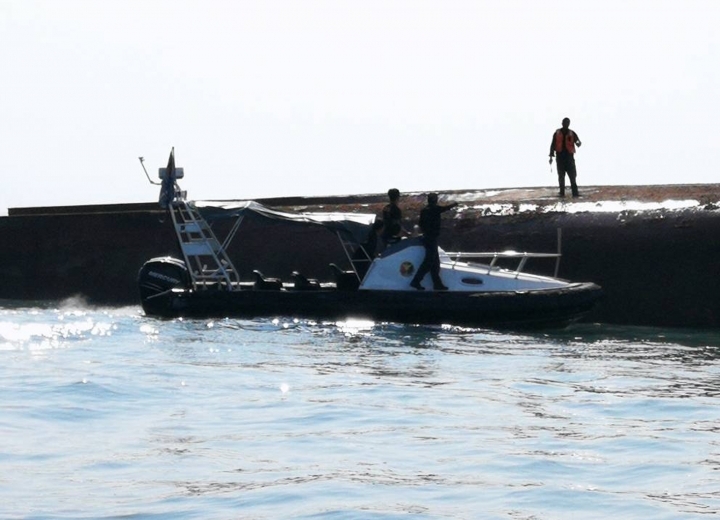 Two vessels were deployed to search for 14 others who were missing, comprising 12 Chinese, one Indonesian and one Malaysian, the statement said. 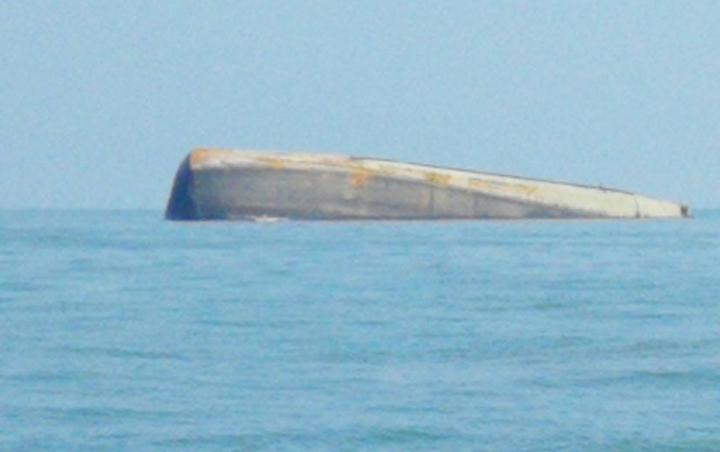 It didn't provide details on what caused the vessel to overturn.